Action RPG game, in which we play the title characters. While playing in the Rangers of Oblivion we mainly deal with hunting monsters, which can be done alone or in the company of other players. Rangers of Oblivion is an action RPG game developed by GTArcade. Production is distributed in a free model with micropayments (free-to-play). 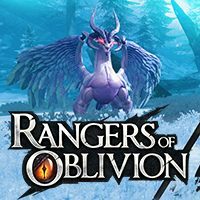 Rangers of Oblivion takes us into the fantastic world of Malheim. The inhabitants of this picturesque land enjoyed a peaceful life until these lands were captured by all beasts. Players take on the role of the title Guardians, and their task is to bring order to Malheim before it falls under the pressure of monsters, as well as to crack down on the evil forces behind the disaster. Watching the hero (whom we create by ourselves, choosing his gender and appearance) from the third person perspective (TPP), while playing in the Rangers of Oblivion, we mainly deal with exploring the land and hunting for the beasts mentioned above. Battles with monsters take place in real time, and not only should you demonstrate reflexivity and dexterity, but also skillfully use the strengths of currently leased weapons and make use of various combat skills. The authors provide us with various tools of murder, each of which is fought in a different way: heavy sword, lance, bow, double blades, magic stick and armoured gloves. As we progress, we develop a protagonist, who will advance to the next level and gain better equipment; new items of equipment are created based on raw materials found in the carcasses of slaughtered masks. During hunting breaks you can spend time trying to tame wild horses, searching for treasures, fishing or preparing exotic meals. In addition, there is nothing to prevent you from exploring Malheim freely, which enhances the attractiveness of the daily cycle and the changing, sometimes violent weather conditions. Rangers of Oblivion consists of more than ten game modes. Among them you can find Speed Hunt, in which the game tests our combat skills, focused on survival Expedition and dedicated to searching for treasures The Lost Isle. Apart from that, the production allows you to play on your own as well as multiplayer games in the company of other players. Rangers of Oblivion boasts high-quality three-dimensional graphics. Particularly noteworthy are the detailed and richly animated monsters. In addition, you can also hang your eye on the full details of the surroundings.